Getting started on a new woodcut for an event I’m attending in June. 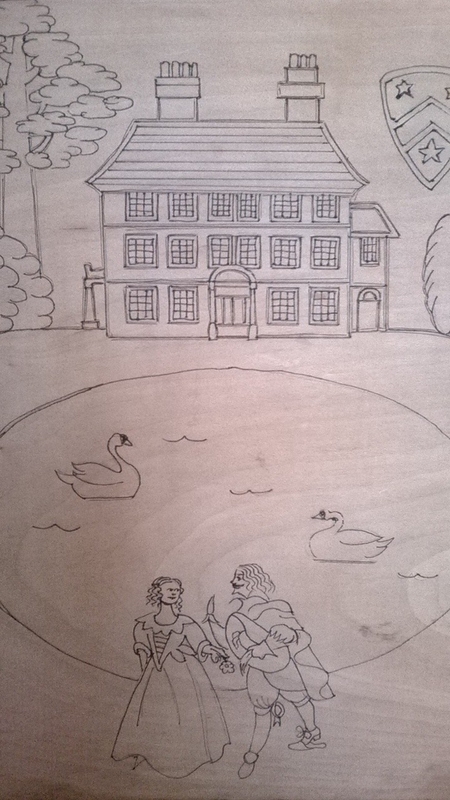 Forty Hall is a seventeenth century mansion house built by a former Lord Mayor of London. I’ll be demonstrating the common press as part of a re-enactment weekend run by the English Civil War Society. It seems a shame, in one way, to cut into this beautiful pear wood – but it’s the best wood you can use for the purpose, in the Western tradition anyway, and lovely to work with.